I’ll try my luck again, this time with the sparkling shades of Tom Ford Lip Spark lipsticks that just hit counters. 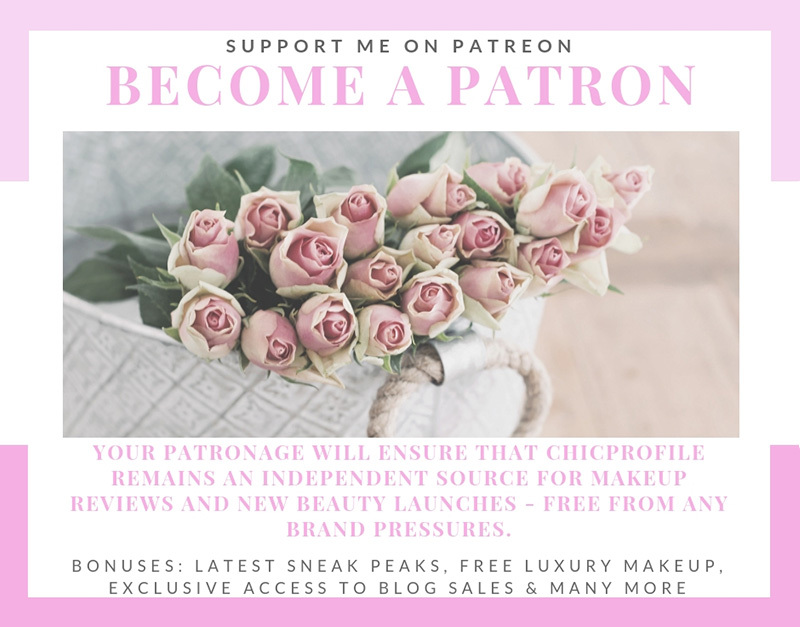 Other than that, I’m saying pass to the bronzers this time just because I have the new Guerlain Terracotta 2019 bronzers on my mind. 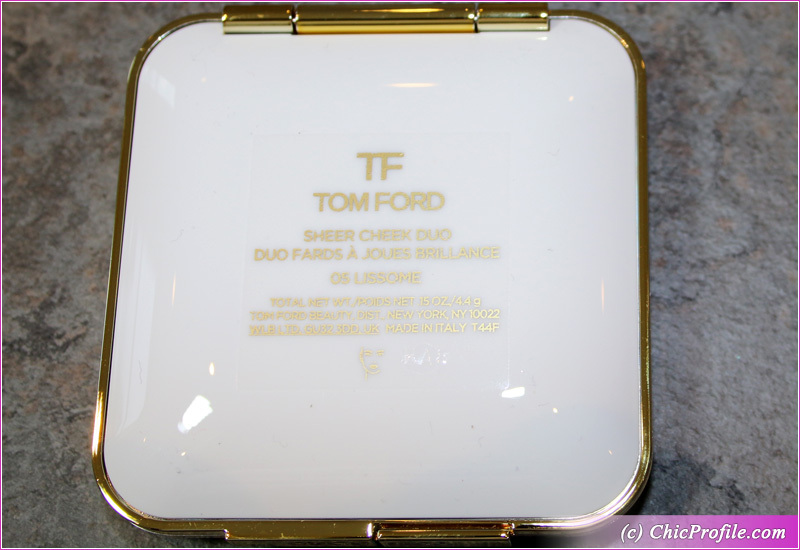 Tom Ford Beauty Lissome Sheer Cheek Duo ($82.00 / £60.00 for 0.15 oz. / 4.4 g) is composed from two blushes in soft brown and light pink. 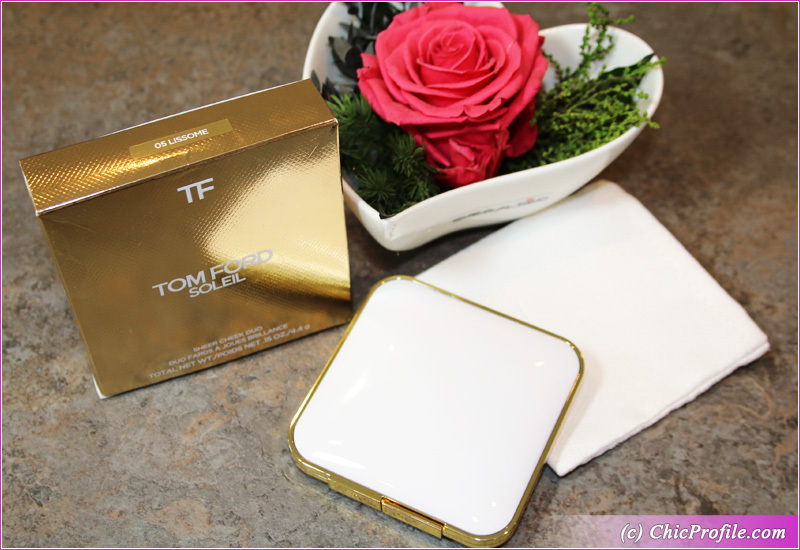 The formula is a powder-gel which feels very firm in the pan but on the other hand is smooth and easily blendable. 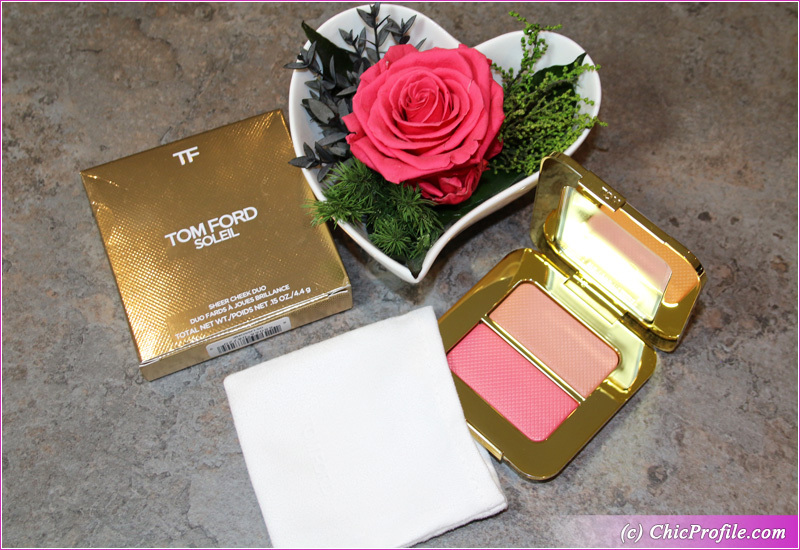 I like how easy I can apply both of these Tom Ford blushes with a moderate dense brush. Applied dry I get a very light, soft focus while if I want a more intense color payoff I just use a dampened brush. I’m always going for the soft, natural look with just a pop of subtle pink on my cheeks so applying the shades dry is my favorite method. Considering that I have light skin, I don’t have to stress to much with the pigmentation and make the color show up. If you are a medium or darker skin you will need to build up the color a little bit in 2-3 layers or use a dampened brush. 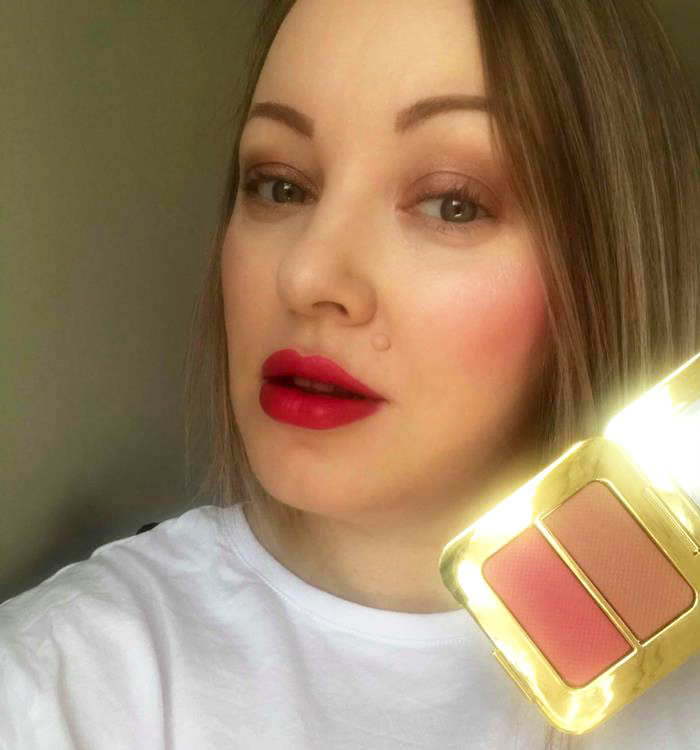 I like that I can choose the intensity, going from sheer, light coverage to a more intense pigmentation which can suit any skin color or occasion. 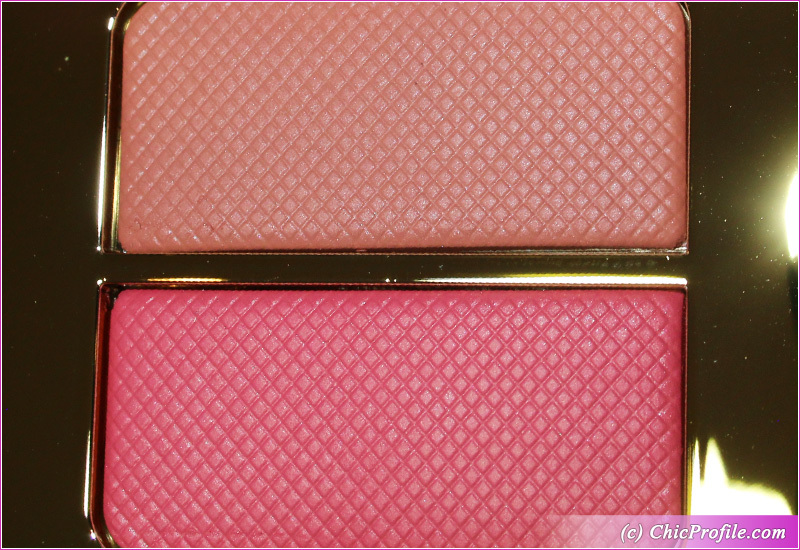 Both shades are easily blendable, they adhere well onto the skin, no fall out and don’t emphasize my skin texture. 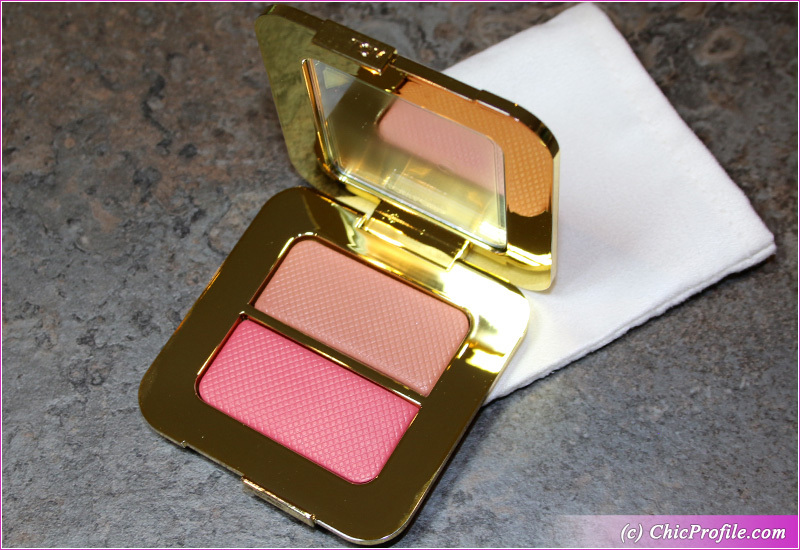 With both shades from Tom Ford Lissome Sheer Cheek Duo I had around eight hours wear. Lissome (Top) is light brown with warm undertones and a natural sheen. The color had almost opaque pigmentation in a single layer, used dry. It blends easily and so well onto the skin without emphasizing my pores. Applied with a damp brush I got a bit more of a sheen but without any metallic finish. This color will look great worn anytime of the day and on every skin tone I guess. It has a luminous sheen but without having any shimmer. Just like I said earlier the texture is dense, firm in the pan so I didn’t have any fall out during the application. Lissome (Bottom) is a medium pink with subtle, warm/ gold undertones and a natural sheen. 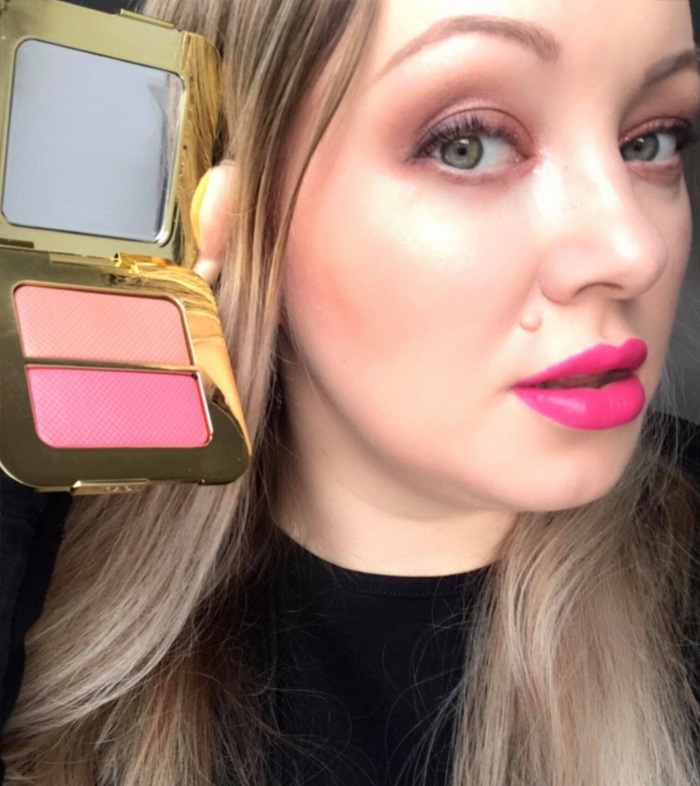 It has a fine, luminous gold sheen throughout the powder which doesn’t look shimmery or metallic at all but just gives some life to this color. I just love this type of innocent pop of pink to wear throughout the day. The texture felt smooth, although it was firm in the pan. My favorite way to apply this shade is dry and by using a moderately dense brush. 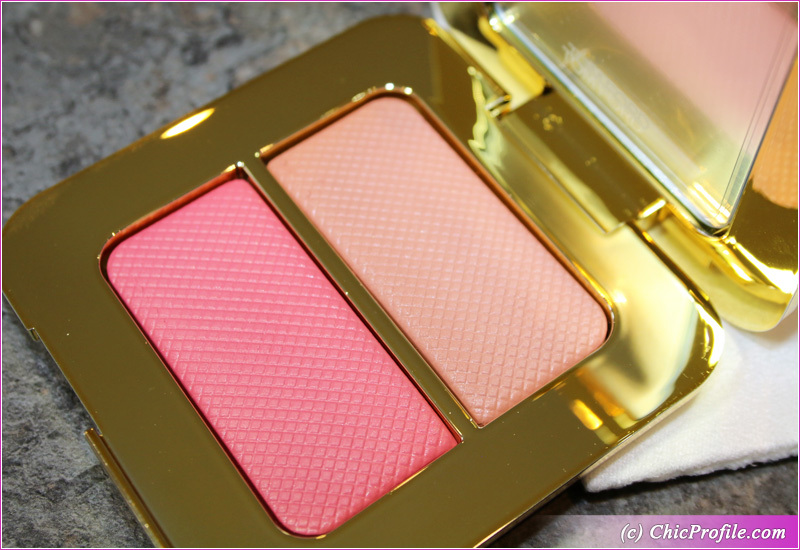 I just like to build up the color payoff in two layers which give me a luminous, rosy pop of color. You can apply the color wet or dry, depending if you are going for a sheer or more pigmented color. I did like that the color was showing up on my skin quite well even in a single layer but I just like to add a second layer and blend it very well. 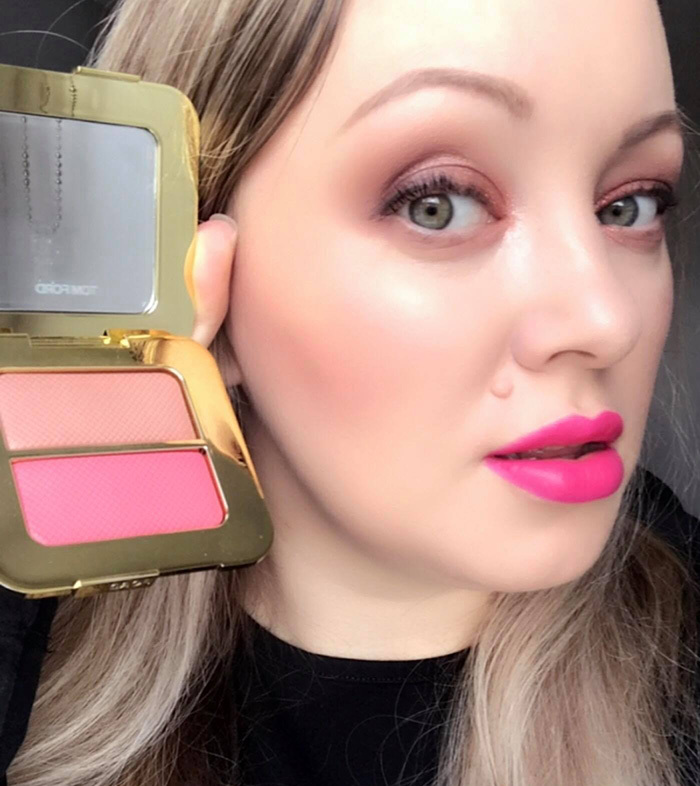 As you’ve seen in other photos of my previous reviews, I honestly abused this shade since I bought it and I can definitely say that is one of my top favorite Spring 2019 blushes. 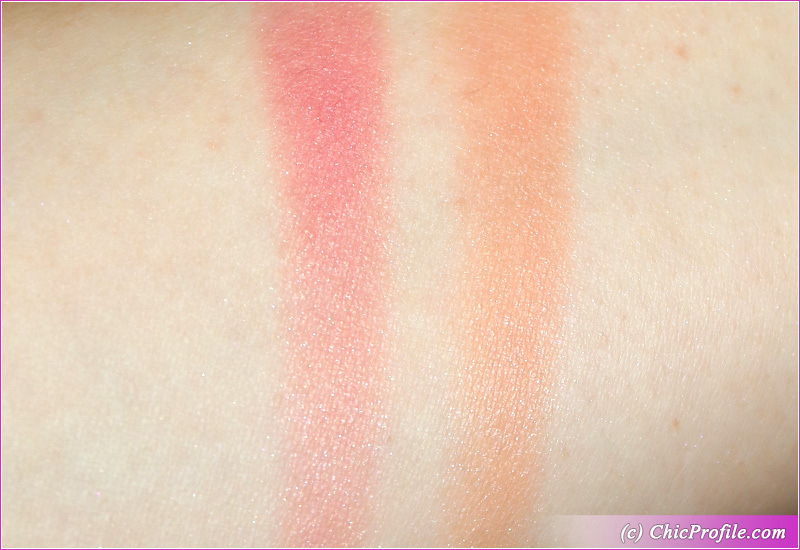 I took swatches on my bare skin and applied two layers of each color. These were applied dry and I used my fingers to swatch both colors. Surprise! I cut my hair as you can see, so after 20 years, I’m back to having short hair. I can’t say I was on board 100% with this choice but it was something that I had to do for my hair since the hard water from London really damaged my hair. 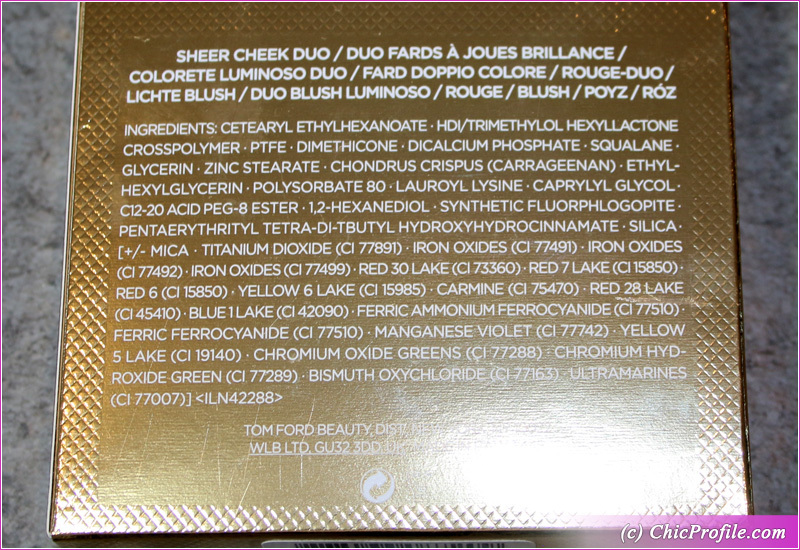 So getting back to Tom Ford Lissome Sheer Cheek Duo, as you can see I’ve been using it quite a lot lately. That’s why I wanted to do the update with some new photos after I had my hair cut. 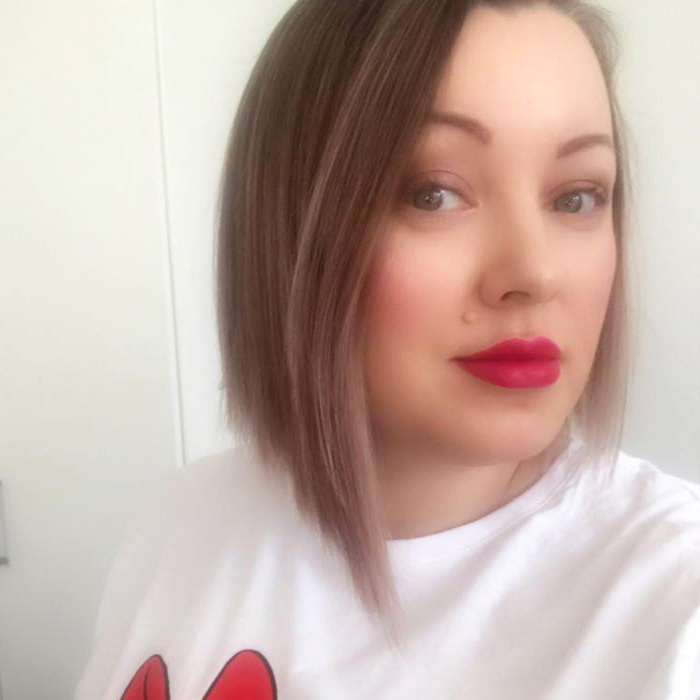 Here on my lips I was wearing the new Fenty Beauty Unlocked Stunna Lip Paint (review, swatches). On my eyes I’m wearing the shades from MAC Kabuki Doll Eyeshadow Palette (review, swatches) which give a natural, day to day look. For my lips I used the intense pink shade of MAC Tsk Tsk! 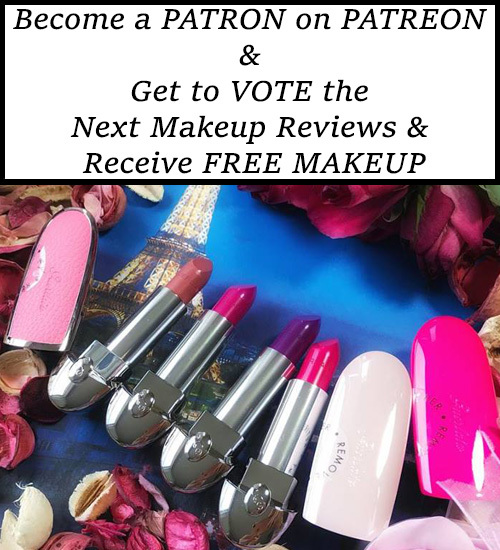 Lipstick (review, swatches) which has a matte finish.